Within the last two weeks, the famous Pokemon magazine Corrocorro has been releasing a bunch of new information for the upcoming Pokemon remakes, Omega Ruby and Alpha Sapphire. Now, some of these leaked images may seem like subtle news at a glance, but let's dive a bit deeper into the images and analyze what else they have to tell us. 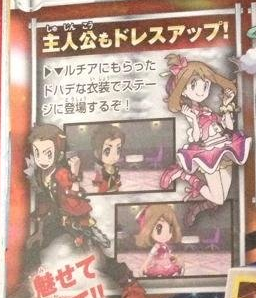 The first two images we have here are related to the return of the well known Pokemon Contests! Now if you look closely, these images tell us about three new exciting features! 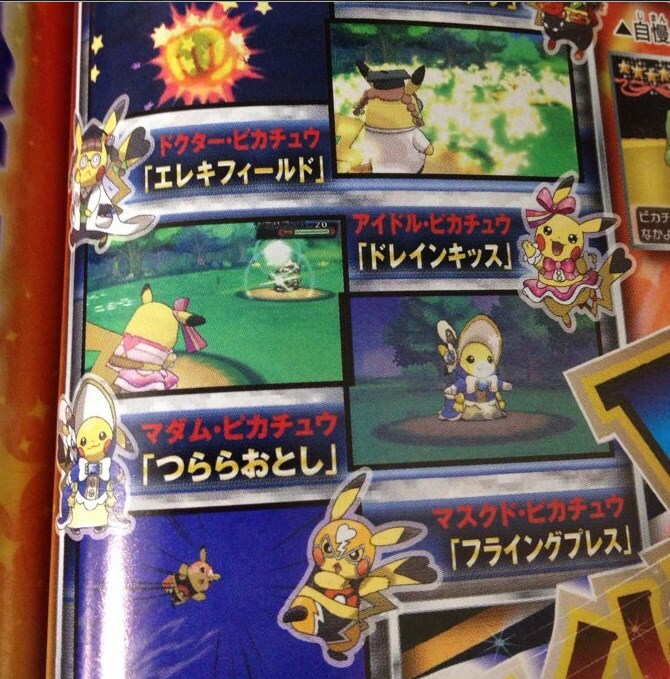 The first image shows us two of those, and that is that you can now dress Pikachu up for the Contests, and that he will also gain some new moves if he is wearing his costume in battle! Pikachu Rock Star gets the move Meteor Mash, Pikachu Ph. D. knows Electric Terrain, Pikachu Pop Star knows Draining Kiss, Pikachu Belle knows Icicle Crash and Pikachu Libre knows Flying Press. There isn't much to the most recent leaks, other than what the pictures show. 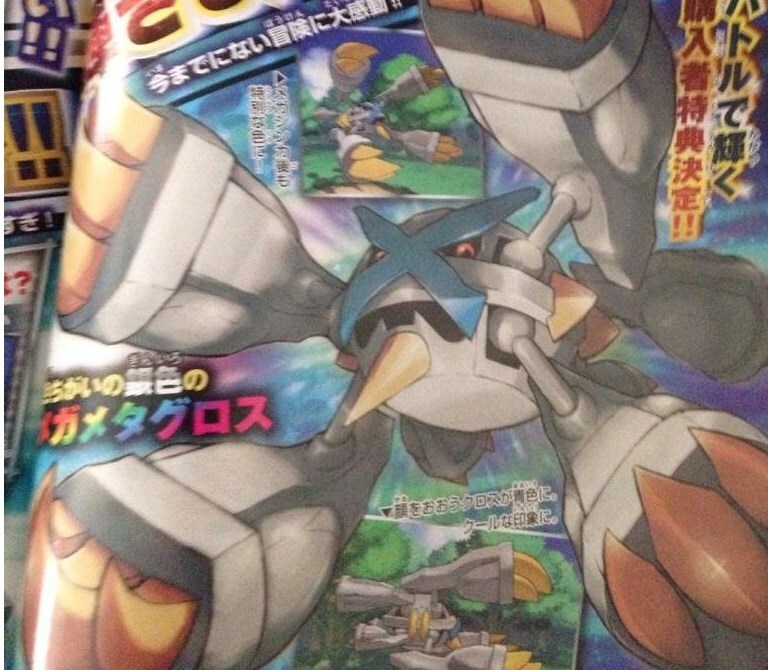 What these leaks are, are the announcements of some of the new Mega Evolutions. The Mega Evolutions are Mega Altaria, who is Dragon/Fairy with Pixilate, and Mega Lopunny, who is Normal/Fighting with Scrappy. It also now knows the move High Jump Kick. 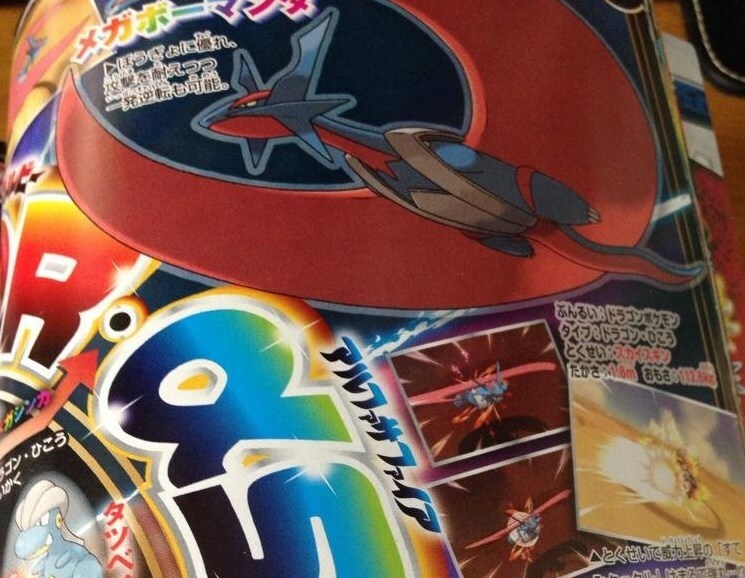 Mega Salamence and Mega Metagross' abilities have yet to be disclosed publicly. 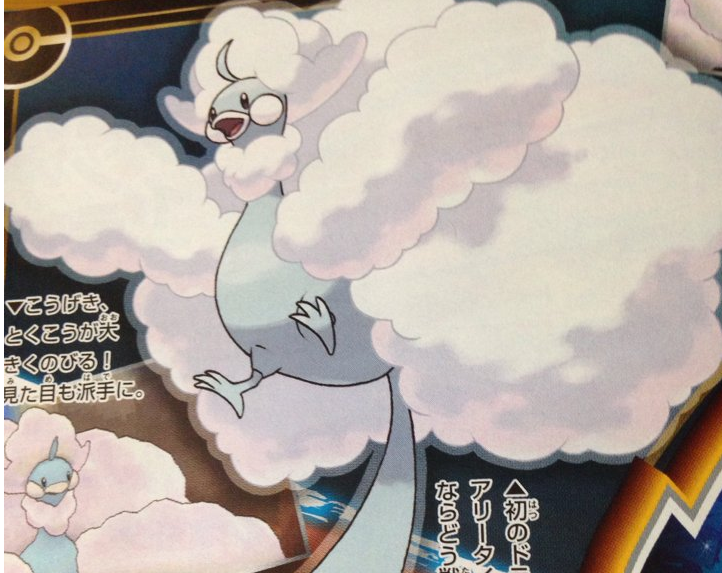 More recently, four more Mega Evolutions have been announced. 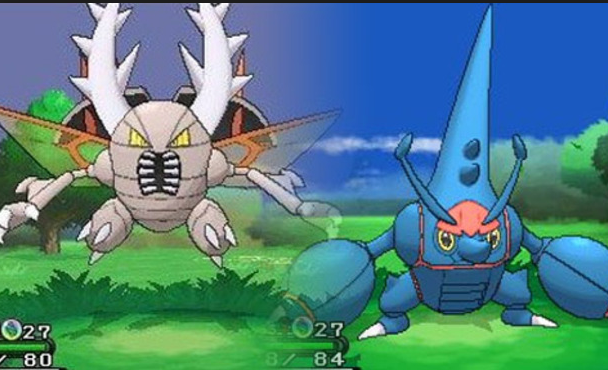 They were Mega Slowbro who has the ability Shell Armor, Mega Audino who is a Normal/Fairy-type and has the ability Healer, Mega Pinsir, and Mega Heracross, which where announced along side the recent Pokemon event for Pokemon X/Y which allows you to get either a Pinsir or a Heracross depending on which version of the game you own. The event also allows you to get their respective Mega Stone's so that you can Mega Evolve them during battle, but in order to do that you need to go to a participating Gamestop and get a serial code. However, if you can't get to a participating store, I'm here to help. I will be giving out one serial code to a lucky member in this thread. To be eligible, all you need to do is post in the thread and live in the US since the code is region locked. Although there is a catch, the winner must prove that they actually own the game before I give them the code. You just can't get enough Pokemon. I'm extremely excited for the official release of Omega Ruby and Alpha Sapphire this Fall. I hope you guys, the Se7enSins community, are as excited as I am!